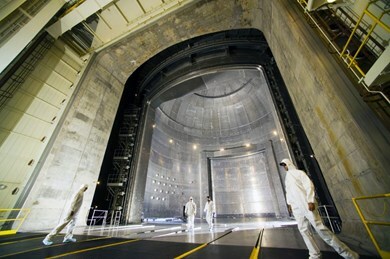 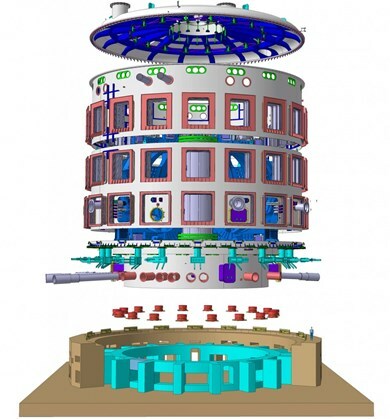 The ITER cryostat—the largest stainless steel high-vacuum pressure chamber ever built (16,000 m³)—provides the high vacuum, ultra-cool environment for the ITER vacuum vessel and the superconducting magnets. 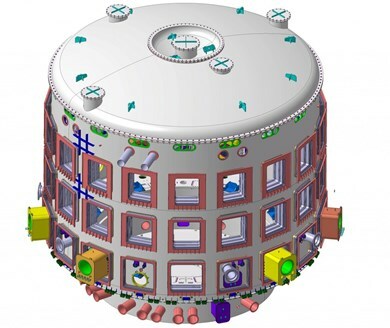 Nearly 30 metres wide and as many in height, the internal diameter of the cryostat (28 metres) has been determined by the size of the largest components its surrounds: the two largest poloidal field coils. 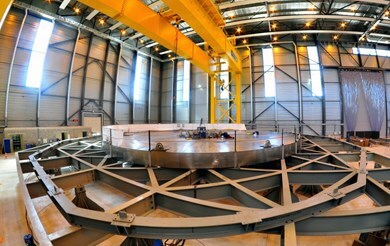 Manufactured from stainless steel, the cryostat weighs 3,850 tonnes. 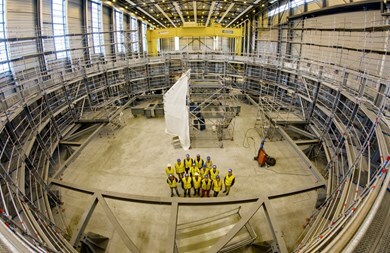 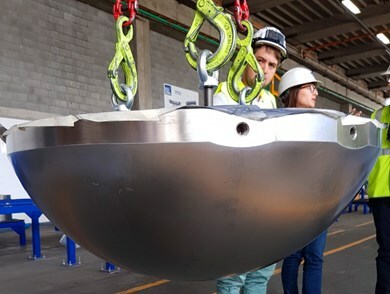 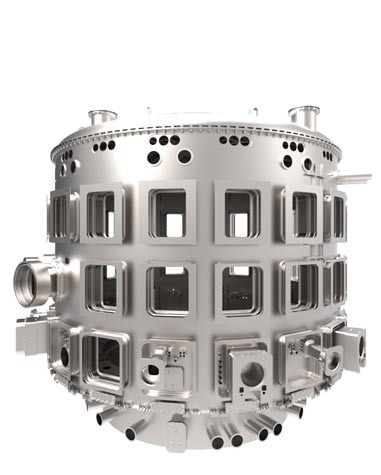 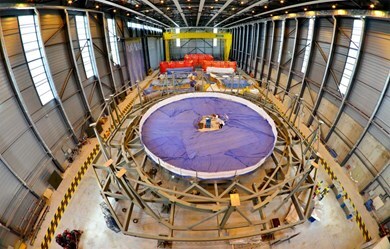 Its base section—1,250 tonnes—will be the single largest load of ITER Tokamak assembly. 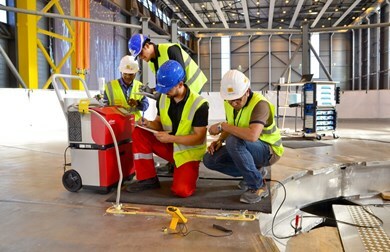 The cryostat has 23 penetrations to allow access for maintenance as well as over 200 penetrations—some as large as four metres in size—that provide access for cooling systems, magnet feeders, auxiliary heating, diagnostics, and the removal of blanket sections and parts of the divertor. 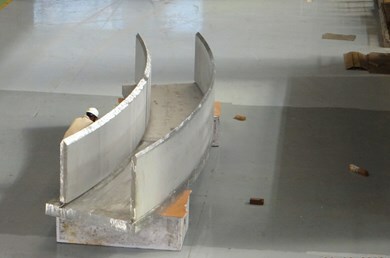 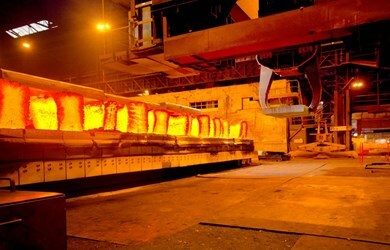 Large bellows situated between the cryostat and the vacuum vessel will allow for thermal contraction and expansion in the structures during operation. 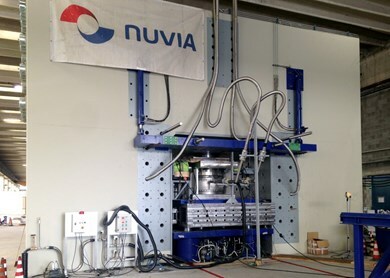 The structure will have to withstand a vacuum pressure of 1 x 10 -4 Pa; the pump volume is designed for 8,500 m³. 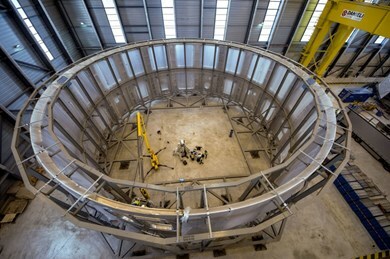 The four main cryostat sections will be assembled in an on-site workshop before their transport to the tokamak assembly site. 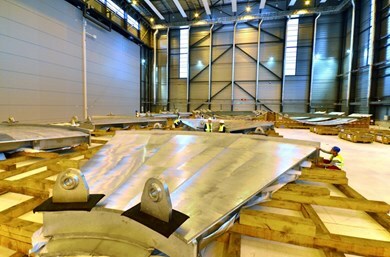 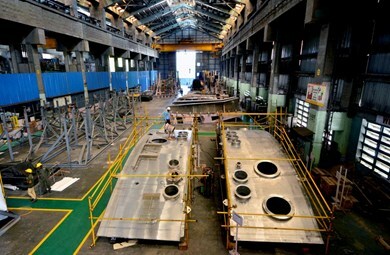 Work began in 2016 (see more on on-site fabrication here).